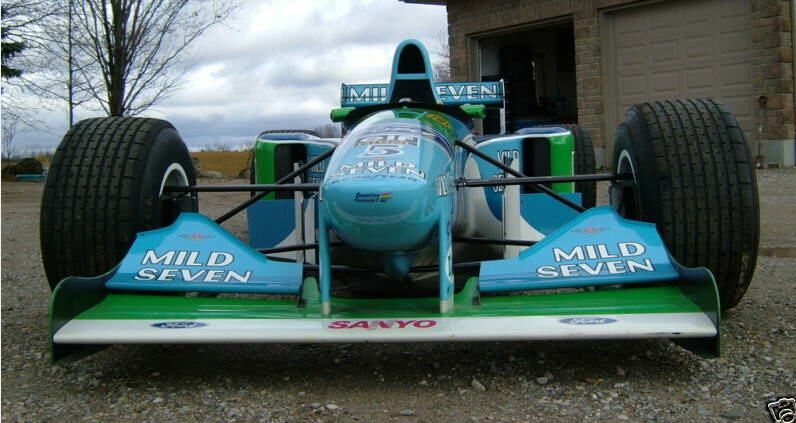 Schumacher's 1994 Benetton B194 is for sale in Canada but listed on German e-bay. 6 days left, 130 bids and up to 1.6 million Euros? Wow, maybe Damon Hill will put a bid in? 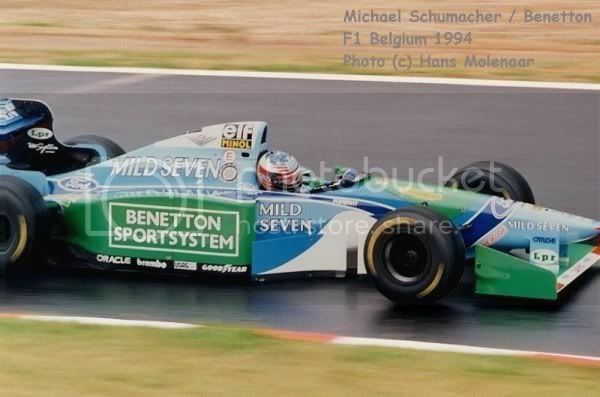 This is Michael Schumacher’s first Driver’s Championship car! This is your unique opportunity to own a peace of Formula One history! For sale is the F1 race car, with which Michael Schumacher won his first Formula One Driver’s Championship at the Adelaide GP of Australia. Most remembered are the scenes were Michael Schumacher had a collision with Damon hill and his Williams-Renault ending up both had to retire the race and Michael Schumacher could use his one point advantage to be the 1994 F1-Driver’s Champion. This is a B194 made by Benetton equipped with a Ford-Cosworth Zetec-R 3.5 litres V8 engine. The car is in condition as in the 1994 Formula One season with paddle shift and traction control. The car is in racing condition, with the painting and sponsoring scheme as in 1994. The engine was overhauled by Langford Performance Engineering / Wellingborough (UK) and was since then just running a few minutes for test and check reasons. As you can see on the pictures, there are a lot of spare parts with the car. The pictured boxes are full with brake, suspension, gear and axle parts. Also the complete starter equipment is with the car, including the pre-heat unit and the hydraulic charging unit. (see last two pictures). Even with the car are two sets of wheels (the mounted for raining condition and a set of slicks), front and rear wing and a laptop with software for configuration of the race car. This is just a small and exemplary list of parts, it’s a further bigger amount of parts with it. For some F1 Grand Prix of the 1994 season absolved with this car are the FIA scrutineer passes given with the car. The car is located in Canada / Toronto, a visit is possible and welcome. Import duty and VAT for Germany are paid by the seller, car shipment will be done after a 30% pay down on the price of sale. Further information are given via mail using the eBay “ask a question” function. Of course is on request a phone contact possible. "The car is in condition as in the 1994 Formula One seasonwith [...] traction control"
Is it just me or does it look smaller than you remember? Wasn't Traction Control ilegal that year!? .... and he says they never cheated!! !